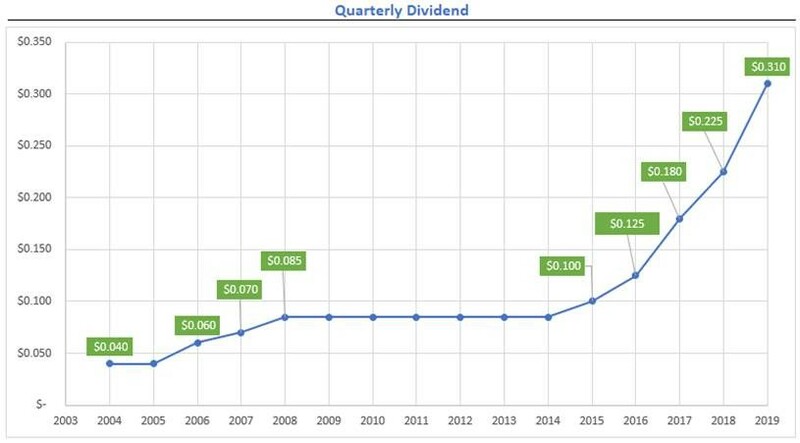 Based on its 2018 earnings and the Company's confidence in its continued growth and access to capital going forward, the Board of Directors has approved an increase to the annual dividend from $0.90 per share to $1.24 per share, an increase of 38%. goeasy Ltd. began paying a quarterly dividend in 2004. For purposes of the enhanced dividend tax credit rules contained in the Income Tax Act (Canada) and any corresponding provincial and territorial tax legislation, all dividends paid by the Company to Canadian residents on common shares are designated as eligible dividends.